The ejecta pattern indicates the presence of subsurface ice at the time the impact occurred. The heat from the impact melted the subsurface ice, and the ice that didn't sublimate was thrown out with the rock ejecta. The fractures you see in the two craters were most likely created by sedimentary compaction and the subsequent dry spell that has been gripping Mars for the last couple billion years. Today's Image of Mars shows the first tracks left by Mars Science Laboratory since it's arrival in Gale Crater. On 22 Aug 2012 MSL made it's first drive, moving to a spot 4.5m from it's landing site before rotating 120 degrees and reversing 2.5m. The rover is now 6m away from it's landing site, which is now called Bradbury Landing. Unlike on the Moon, these tracks will likely be covered up in the weeks and months to come because of weather on Mars. The most likely ways these tracks will be erased is by a dust devil or dust storm, a weather phenomena that is a frequent occurrence on Mars. To the left and right of the track marks you can see marks left from the descent stage landing. At the top of this image close to the center you can see the lower slopes of Mount Sharp, MSL's ultimate destination. Clicking on this image will take you to the original high resolution image from NASA. Today's Image of Mars shows a recent impact crater in Echus Chasma with a magnificient blast zone. This image comes from HiRISE and it has made the contrast between the material exposed by the blast very evident by excentuating the color difference. The true color would likely be a different shade of grey. An image of this area was taken by THEMIS aboard Mars Odyssey Orbiter in 2009 and it didn't show this impact, but an image taken by Mars Reconnaissance Orbiter's Context Camera in 2011 showed what looked like an impact. This then prompted the HiRISE team to investigate, resulting in the image you see below. 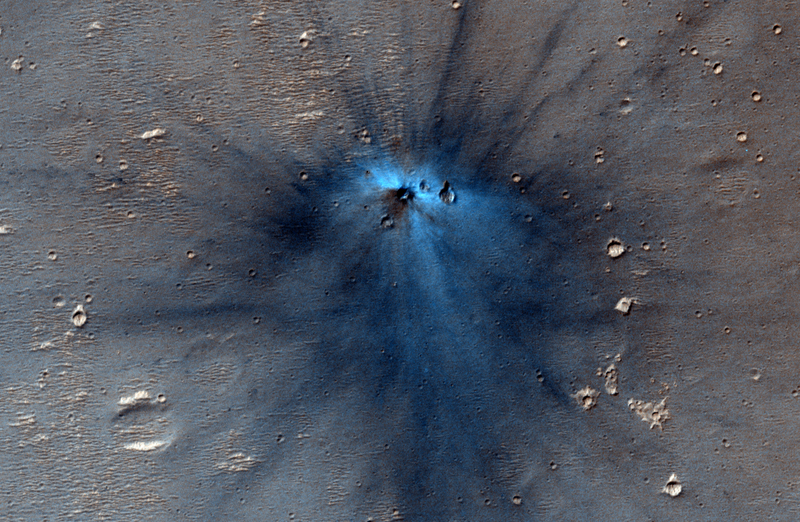 The discovery of this recent impact crater is a testament to how well multiple instruments on different orbiters can coordinate to make even more significant discoveries! 1. In the top right you see the brighter terrain, which scientists are interested in because it may be a type of bedrock that Curiosity can eventually try and drill into. 2. The bottom right shows terrain that scientists believe is harder and older than the surrounding terrain. Scientists know this because the terrain has many more small impact sites from meteors, which is generally an indicator of an older surface area. 3. 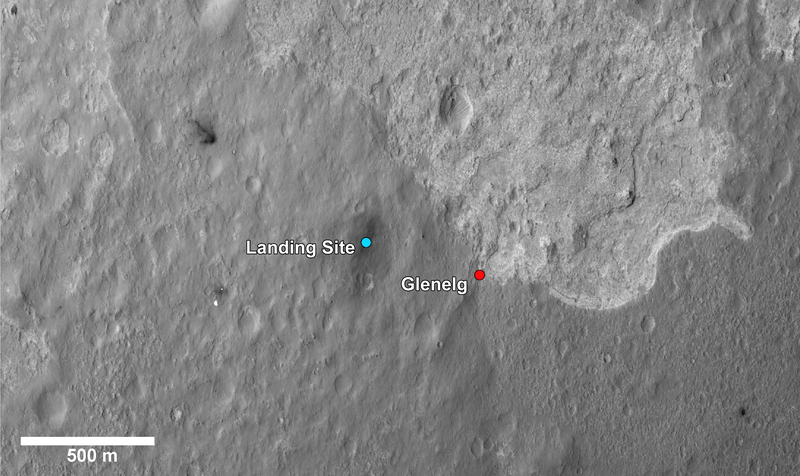 The next type of terrain is found at MSL's landing site and scientists are interested to see if it is duplicated at Glenelg. But why was the name Glenelg chosen? Because MSL will be visiting the area twice, both coming and going, and the word glenelg is a palindrome, meaning it is spelled the same backward as it is forward. Following MSL's examination of Glenelg, the rover will begin its southward drive toward the base of Mount Sharp! Today's Image of Mars shows Mars Science Laboratory and the surrounding terrain in color, as taken by Mars Reconnaissance Orbiter's HiRISE camera. The blue in this image would look grey to the human eye, but the color was enhanced to make differentiating terrain easier. 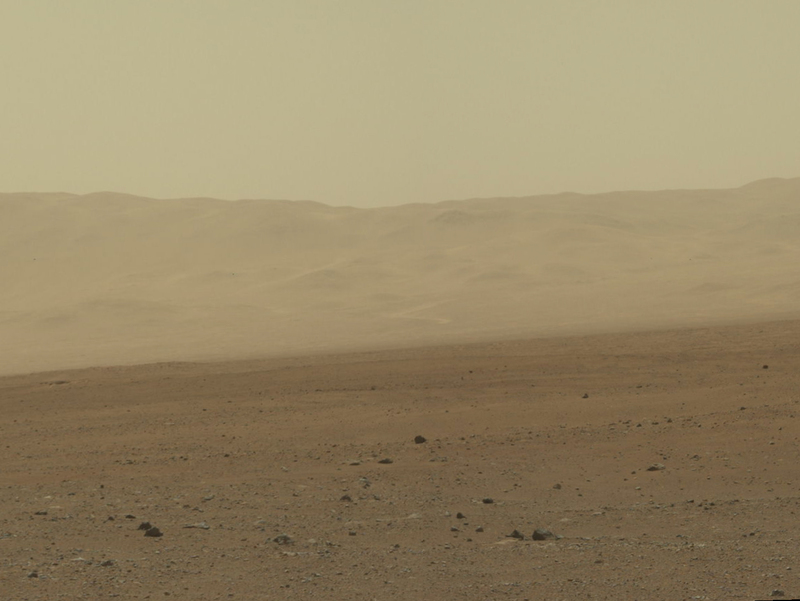 Mount Sharp, MSL's ultimate destination is outside of this frame to the southeast, where up is North. 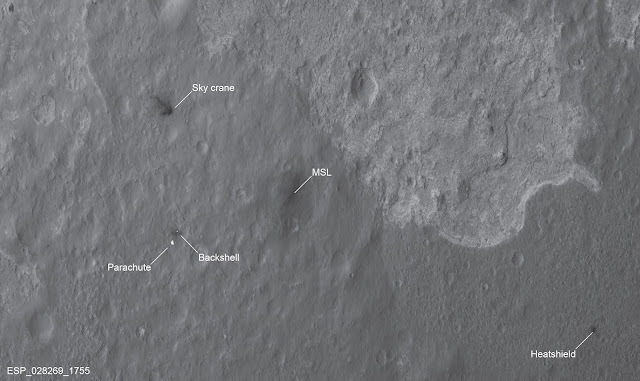 To give you an idea of scale, MSL is about 300m from the bottom of the image. As MSL moves south toward Mount Sharp, it will encounter much different terrain, including dune fields. In the days, weeks, and months to come MSL will study this terrain and the material that makes it up, providing us an unprecedented close up look at the clays and sulfates making up the base of Mount Sharp. 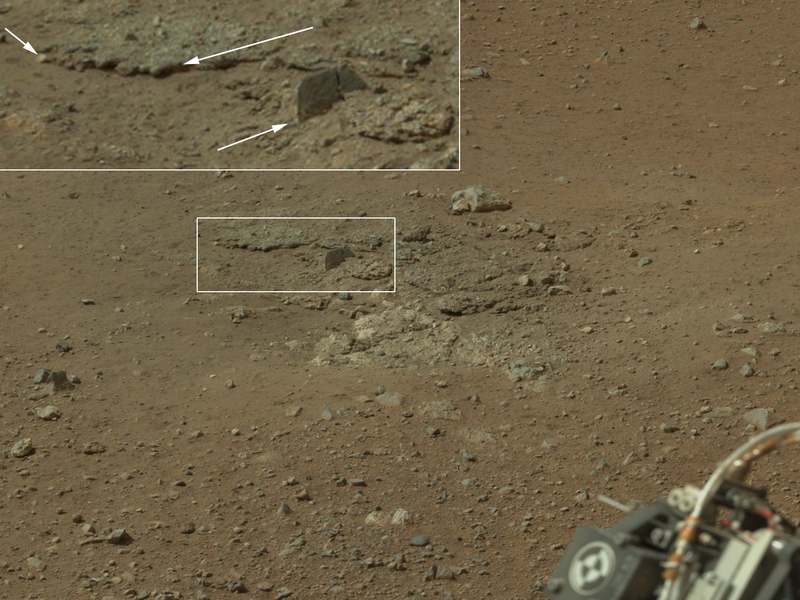 Today's Image of Mars shows where all the hardware for Mars Science Laboratory (MSL) ended up 24 hours after landing. If you click on this image you can see the HiRISE high resolution image, in which you can spot the parachute, back shell, heat shield, sky crane, and MSL itself! The reason you see dark patches is because the impact and/or the thrusters blew away the light surface layering of dust, revealing the darker soil underneath. Today's Image of Mars comes from Mars Science Laboratory and shows Mount Sharp, the 5.5km high central uplift of Gale Crater. MSL will be studying Mount Sharp as it attempts to determine whether Mars once did, or still does have the building blocks for life. Mount Sharp's base is thought to be at least 2 billion years old and it is contains numerous layers of clays and sulfates, two materials that are only known to form in the presence of water. The layers directly on top of those are comprised primarily of sulfates, with very few clays, which implies that they were formed in an environment where Mars was becoming drier and water was evaporating. 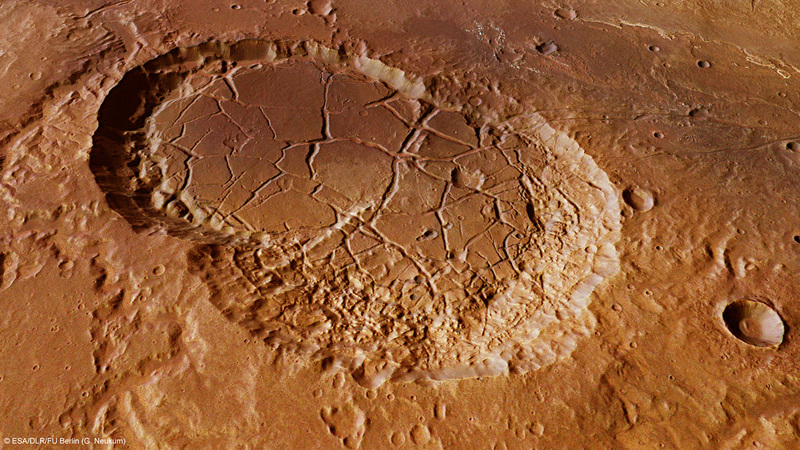 By studying these layers scientists can verify that Gale Crater once contained a lake of water. They will also give us insight as to the time frame the water begin disappearing from the surface of Mars! There is so much that MSL will learn from examining Mount Sharp; what it will find only time will tell! The first two images from Mars Science Laboratory (MSL) Curiosity Mars' Gale Crater are of the rover's wheel and the other is of it's shadow! This is incredible! Within minutes of MSL touching down it sent back these images! The landing went off remarkably well! 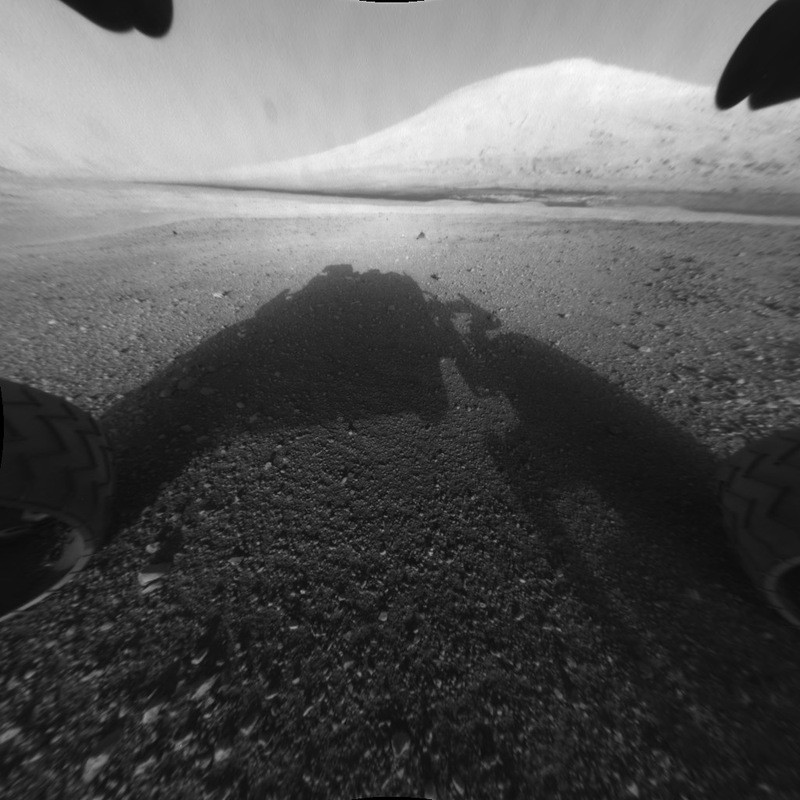 See all raw images sent back by MSL Curiosity! UPDATE: MSL Landing was successful! The first two images returned can be seen by following this link. The post landing News Conference can be viewed below around 0230EDT, where I have changed the video to that of SpaceFlight Now's Live Streaming one!
. Mars Travel will be live tweeting the Entry Descent and Landing of Mars Science Laboratory, as well as the subsequent NASA news conference. You can watch NASA TV below for video updates, while following live tweets in the right sidebar! The first commentary for the mission will be aired live at 2330EDT, just over 2 hours before touch down! Touchdown will be confirmed at 0131EDT on 6 Aug 2012! Alan Chen will be the voice of mission control. 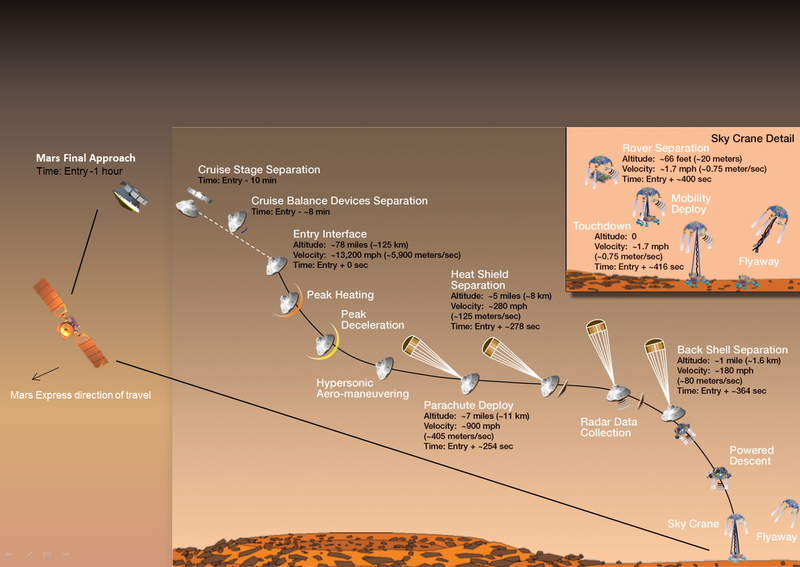 When Mars Science Laboratory Curiosity begins its entry, descent and landing (EDL) it will go through 7 minutes of terror, as the largest payload ever to touch down on Mars slows from over 21,000 to 3.6km/hr as it maneuvers to the surface. 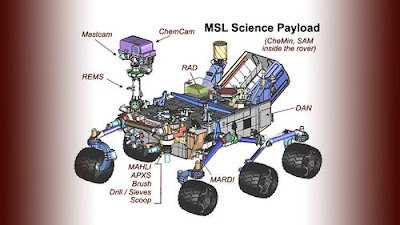 If all goes to plan we will get confirmation of MSL touchdown at 0131:37EDT (0531:37UT) in Gale Crater near the base of Mount Sharp, thus beginning the most heavily anticipated Mars mission since Mariner 4 first imaged the Red Planet in July 1965. Upon landing MSL will remain in position for approximately 5 days, during which time mission control will ensure the ground right below the rover is safe to drive on. They will also use this time to deploy the high gain antenna, mast and sampling system, while ensuring that everything else deployed properly and is in working order. To get an idea of what MSL is carrying, click the image to your right. Following the initial system checks MSL will make its first drive through uncharted Martian terrain and begin work to determine if the conditions on Mars were or still are favorable to life. As many scientists have proclaimed. The most exciting aspect of MSL's mission is that we really don't know what we'll find in Gale Crater! One thing is for sure; MSL's journey will be new, informative, and exciting, as exploration of the unknown always is! So what exactly is MSL looking for on Mars?